After a run of tastings featuring some painfully expensive and often unobtainable whiskies, Angus MacRaild is keen to explore the more affordable end of the old and rare spectrum. 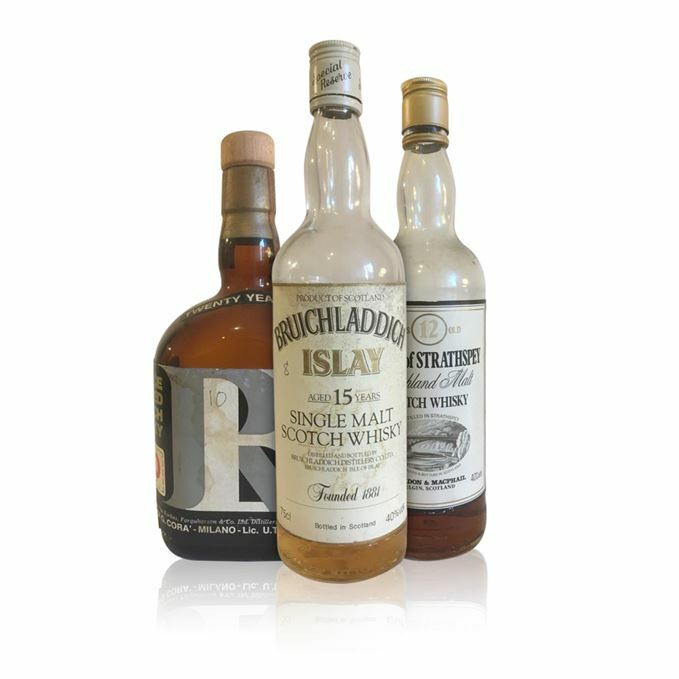 Buying and tasting old-style whiskies need not break the bank, he argues, and, with this in mind, he has selected three whiskies which can all be picked up at auction or from a specialist retailer without re-mortgaging your house. First up is an old official UK bottling of Bruichladdich 15 Year Old from the 1980s. 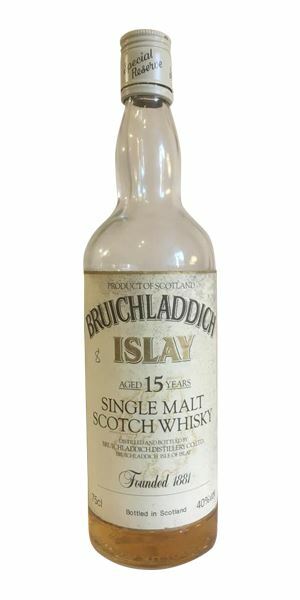 MacRaild finds that, even with the rather low bottling strength, there are some beautiful and classic Bruichladdich characteristics on display. And the lightness proves to be an asset in what is a supremely ‘quaffable’ old malt. 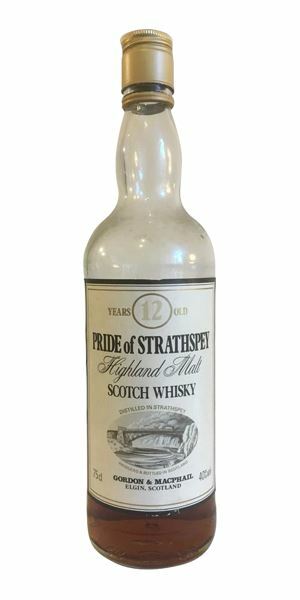 Following this, another old malt which regularly goes under the radar and changes hands for buttons at auction: Gordon & MacPhail Pride Of Strathspey 12 Year Old. MacRaild finds it a brilliant and wonderfully accessible demonstration of older-style Sherry maturation – one that offers the drinker an inexpensive way to enjoy the classic 1960s style of Sherry-driven Speyside malt. However, the winner in this session is, unusually, an old blend in the form of Reliance Blended Scotch 20 Year Old, bottled in the early 1970s by Forbes Farquharson & Co for the Italian market. 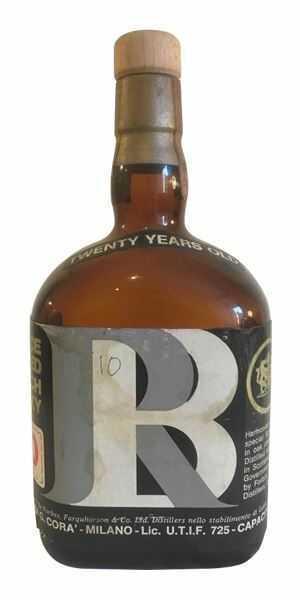 This company was a subsidiary of Bell’s at the time, so the stocks would have been almost identical to those going into the Bell’s Royal Reserve 20 Year Old blend, with component malts most likely including Dufftown and Blair Athol. MacRaild finds it an exceptional blend which offers a fascinating and reasonably-priced insight into the malt whisky flavours of that era. A breezy waft of citrus, crisp cereals and lavender-infused wax. Then a burst of ripe Bruichladdich melon and guava interspersed with sandalwood, a bath bomb and some soft fruit jelly sweeties. In the background, freshly baled hay, wet rocks and a taut mineral aspect. Dry at first: lots of hessian, wet beach pebbles and a sharp lemon rind note. Then some orange sherbet, soot, coal tar soap, lychee and freshly malted barley. A warm grist quality pervades the palate. The lushness of the fruit from the nose isn’t quite replicated on the palate, which leans more towards the mineral, sharper aspects of Bruichladdich. Good length and surprisingly earthy, with a coastal funkiness. A slice of preserved lemon rounds things off. Overall a light dram in profile, no doubt largely to do with the old-fashioned bottling strength. But there’s lashings of classic Bruichladdich distillery character and it goes down a little too easily. Like drinking Bruichladdich-flavoured diluting juice. Inspecting a malt dresser on a warm summer day during silent season. Old-school Sherry in abundance. This resinous, nervously earthy, rancio edge unspools itself from the top of the glass. Some wet leaves, a little mocha, cow sheds, sultanas stewed in old Cognac and a grinding of black pepper. Treads a perfect line between earth, dark fruits and farmyard aspects. Eventually, a dusky note of blood orange. About as big as G&M whiskies get at 40%. Loads of prune juice, cloves, figs, mulling spices, raspberry jam, espresso and bitter chocolate. Some greener, lusher fruits as well with time. Supremely smooth earthiness with cocoa, milk chocolate digestives and some wood spices keeping things warm towards the finish. Medium length but perfectly drying, spicy, earthy and a tad sooty, which gives a sense of muscle. Better than quite a few Macallan 18 Year Olds, if you ask me. Bewilderingly under-appreciated bottlings that showcase some stunning, old-style Sherry casks and distillate in perfect harmony. Now, I’m not sure how much batch variation there was, but if you get the 75cl ones from the 1980s or earlier, then most are similar quality in my experience. You could polish furniture with this stuff. An elegant and undulating scree of wax, truffle oil, mustard powder, paraffin and crushed white pepper. There’s a scent of dusty old paper as well, with hessian and assorted mineral aspects such as chalk, flints and an old inkwell. The more muscular, old-school malt components really sing on the nose. Some dusty, slightly smoky old malted barley emerges after a while. Terrifically fat and oily. Packed full of wax, earth, wet leaves, mushroom powder, citrus oils, wood resins and black pepper. Some green olives, a few dried herbs and a slightly mulchy character as well. Boot polish and cured ham towards the end give a weightiness and continue this fatty impression. Also curious notes of Sudocrem with a little olive oil and lime zest. Long, resinous, oily and gently waxy. A sense of lemon-infused grease lingers in the aftertaste – which is nicer than it sounds. Were I a betting man, I’d wager that this was blended at birth and matured full-term as a blend. There’s a sense of completeness and integration that you rarely get, even in other older blends from this era. The malt content feels high and extremely dominant. Likely from the same stocks that were going into the Bell’s 20 Year Old Royal Reserve at the time. Anyway, terrific old blended whisky that provides an olfactory window onto the broader character of malt whisky from this era.